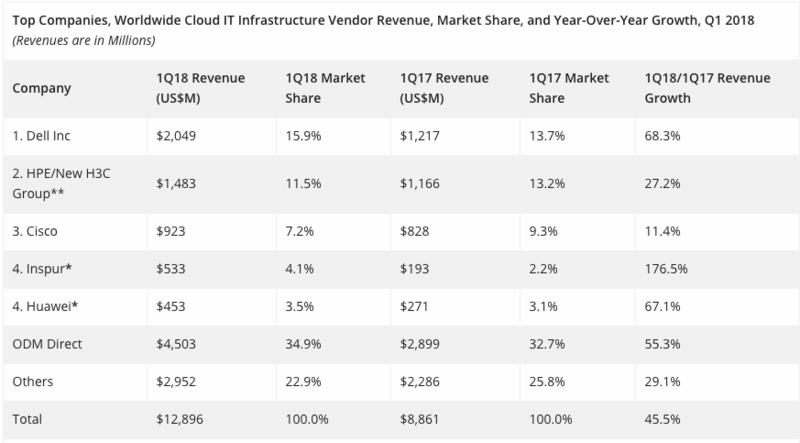 FRAMINGHAM, Mass., June 21, 2018 – According to the International Data Corporation (IDC) Worldwide Quarterly Cloud IT Infrastructure Tracker, vendor revenue from sales of infrastructure products (server, storage, and Ethernet switch) for cloud IT, including public and private cloud, grew 45.5% year over year in the first quarter of 2018 (1Q18), reaching $12.9 billion. 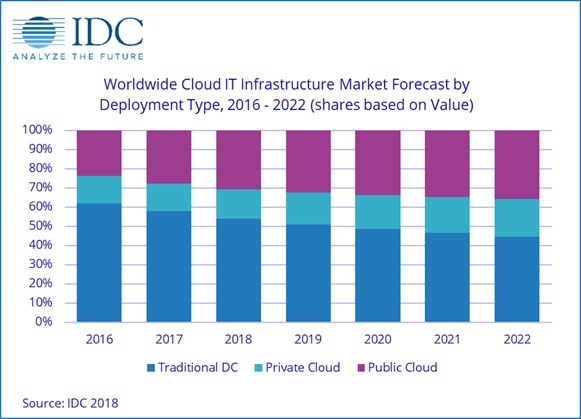 IDC also raised its forecast for total spending on cloud IT infrastructure in 2018 to $57.2 billion with year-over-year growth of 21.3%. 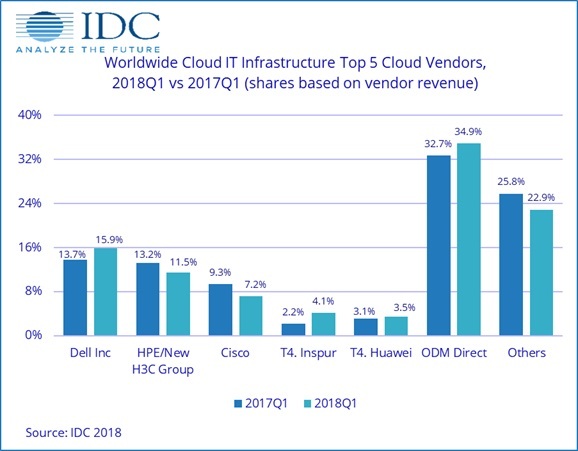 *IDC declares a statistical tie in the worldwide cloud IT infrastructure market when there is a difference of one percent or less in the vendor revenue shares among two or more vendors. **Due to the existing joint venture between HPE and the New H3C Group, IDC will be reporting external market share on a global level for HPE as "HPE/New H3C Group" starting from Q2 2016 and going forward.